Donald Trump surprised millions of Americans when he won the presidency on November 8th. Now that he’s bound for the White House, it’s time to start talking about how his policies might impact our day-to-day lives, especially in respect to the economy. Whether you support him or not, Trump is poised to have enormous influence over America’s economic future, including the financial security of you and your family. Here are three things every American needs to know regarding president-elect Trump and his potential effect on the economy. Leading up to the election, reporters said traders were scared of a Trump presidency and that the stock market would take a swift drop if he were to win. But the story doesn’t end there. Just hours after the initial drop, markets turned around and started a two-day rally. 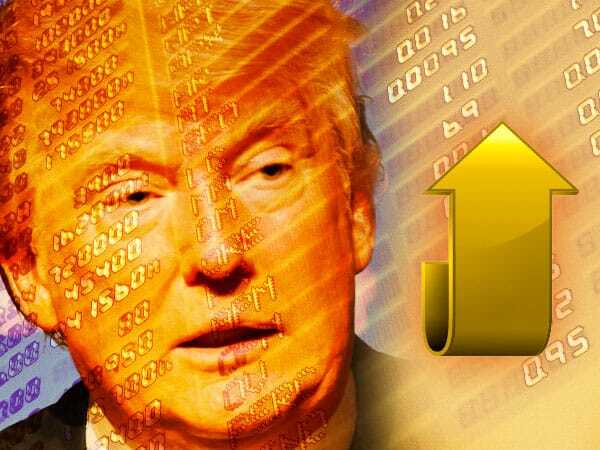 You can anticipate this volatility to continue as market makers learn more about Trump’s plans and how they’ll alter the economy. If there’s one thing you can say about Donald Trump, it’s that he doesn’t sugar coat anything. It may have got him into some trouble during the election, but it built trust with voters and showed them he wouldn’t avoid taking the right course of action, even if that course isn’t the most popular or easy. In respect to the economy, there are two major areas where Trump is applying that frank, no-nonsense attitude: 1) The fact that we’re currently living in another bubble, and 2) how the Federal Reserve holds most of the responsibility. Trump doesn’t want to continue suppressing America’s underlying economic problems while letting them grow worse in the process, which is the approach politicians and Fed officials have been taking for years. Unfortunately, that could result in some short-term pain while the economy purges itself. But once it gets a fresh start and begins to heal, it will give Americans the chance to live once again in the world’s strongest economy. In the lead up to the election, gold prices were already doing well as a result of general uncertainty and volatility. But with the additional impact of Trump’s unexpected win, they could be getting ready to go even higher. If you want to make the most of Trump’s win and its effect on the economy, buying gold might be your best possible strategy.